Our Pooled Fund program offers a process by which cities, counties, MPOs and other regional or local agencies can pool relatively small pots of research dollars to then leverage NITC matched funds for a single, collaborative project. Active transport modes such as bicycling are associated with many advantages including lower congestion and emission levels and improvement in personal health. Many cities are interested in increasing bicycle activity to take advantage of these benefits. This project will conduct research that explores how to combine data from different sources to establish bicycle volumes. 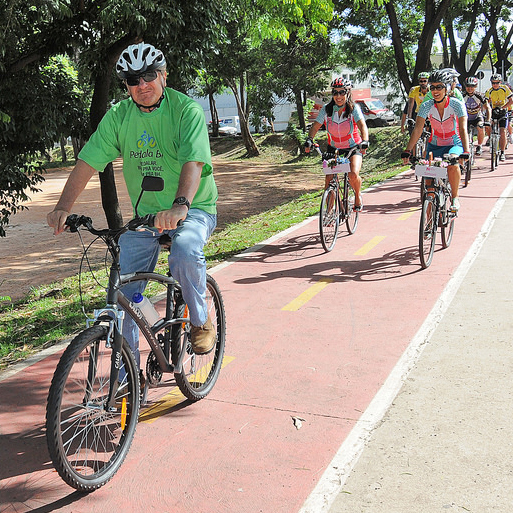 Using the research output, cities will be better equipped to determine bicycle traffic and to evaluate their efforts. Principal Investigators from NITC's consortium of universities were invited to submit proposals for this project. In November 2018 the project team was chosen, learn more about the ongoing project: Exploring Data Fusion Techniques to Derive Bicycle Volumes on a Network. 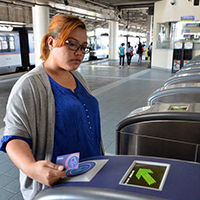 Transit agencies are modernizing their fare collection systems in an effort to reduce the expense of collecting cash and increase operating efficiency. Yet, the equity implications for people who may be excluded or greatly inconvienienced by paying for transit through non-cash based collection technologies are not well understood. This project will address these equity concerns and will identify technology or solutions 'gaps' that need to be implemented to effectively address users excluded by automated "cashless" payment solutions and the equity groups. This NITC grant is part of the University Transportation Center program, funded by the U.S. Department of Transportation, and is a partnership between Portland State University (PSU), the Oregon Institute of Technology (Oregon Tech), University of Arizona (UA), University of Oregon (UO), University of Utah (UU), and University of Texas at Arlington (UTA).